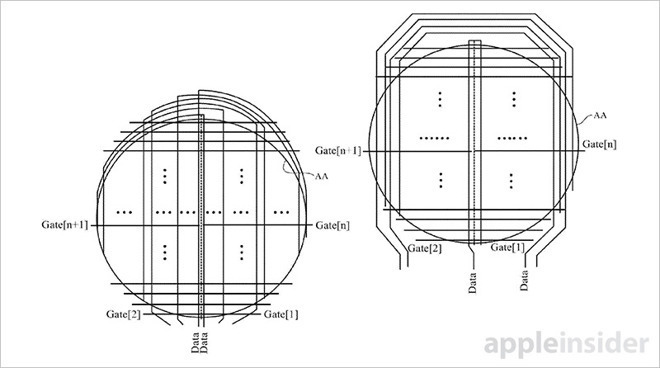 Apple has two smartwatches on the market (the Apple Watch Series 2 as the latest) that both sport square form factors, but two new patent filings show Apple's new flirtation with circular design for the first time. The patents, titled "Electronic Device Having Display With Curved Edges," show Apple's plans on how to make the pixels and sensors work in a device that will prove to be shorter and narrower than current square displays. 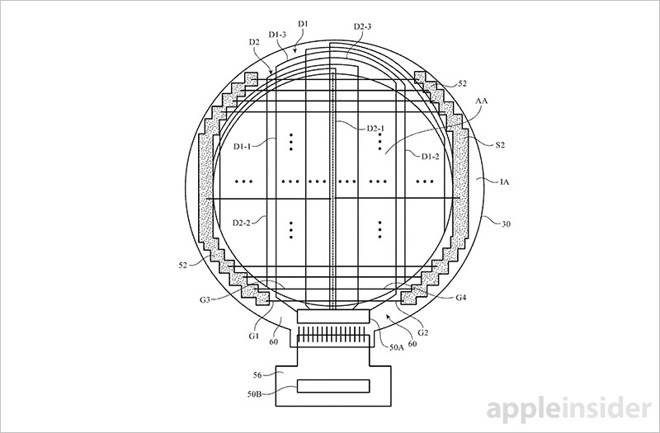 Apple filing patents for circular Apple Watch design aren't surprising, considering that a recent smartwatch survey showed that 36 percent of the survey pool wants a more stylish design for the Apple Watch -- and a circular form factor could be just the thing to reignite the interest of Apple Watch owners or iPhone users who've yet to invest in Apple Watches because of design. Apple is known for popularizing technology, but the company's decision to head into circular design (if Apple intends to do so) shows that the company isn't as happy with its square smartwatch sales as many tech journalists believe them to be. Next, perhaps Apple is hoping to steal some thunder from other smartwatch makers (hint: Samsung) whose circular smartwatches are frustrating Apple sales. Apple could very well have its mind made up to go in a direction that most want the company to head in. Circular smartwatches look more like traditional luxury timepieces and it is that appearance alone that tends to win over the consumer market. There are a number of consumers claiming that smartwatches aren't functional enough, but there are just as many claiming that a more luxury design would win them over or at least get them to consider smartwatches. Keep in mind that Apple may very well never bring this device to market, though a circular Apple Watch seems to be the new direction for the company in the same way that Samsung designed the circular Gear S2 after the square Galaxy Gear (2013), Gear 2/Gear 2 Neo (2014), and Gear S (2014). 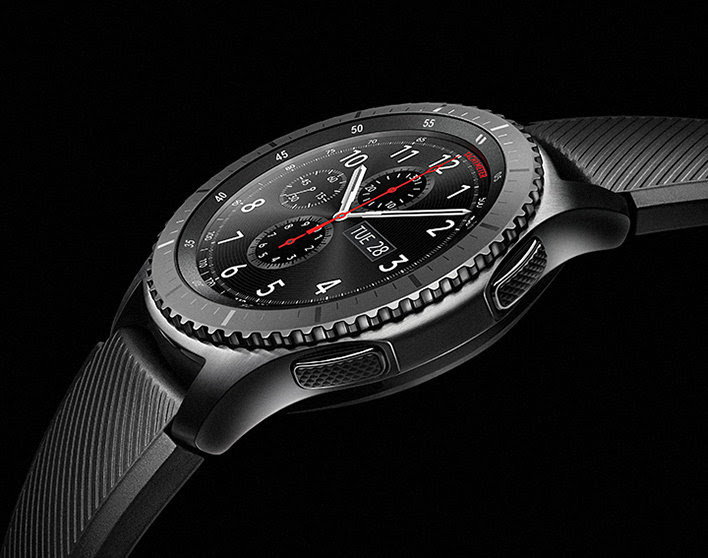 The Gear S3 Classic and Gear S3 Frontier both sport circular designs, and Samsung has polarized the market with its smartwatches that look like "masculine" timepieces. At the same time, though, it is the masculine luxury look that is selling in large numbers - and manufacturers want their products to sell. Apple's entrance into this area will be a welcome change for Apple Watch owners, though Apple is, as always, a Johnny-come-lately into this area. 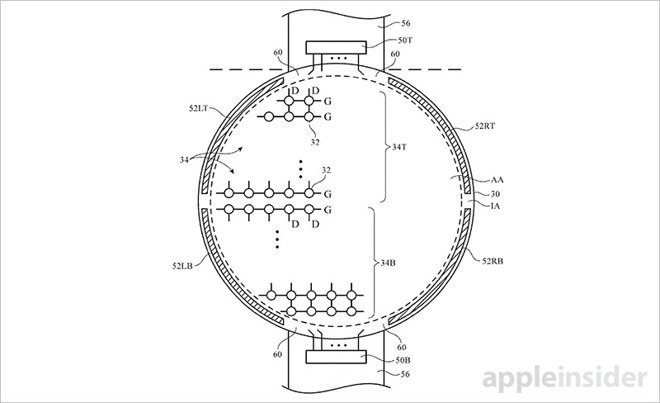 What do you think of a possible circular Apple Watch in the company's future? Would you buy it in a heartbeat, or do you prefer a square form factor instead?